Monday was my last day of work before moving. I was keeping an eye on all the travel and airline sites watching airfares to Tokyo. Wednesday I was able to get a price I was happy with so bit the bullet and booked myself for a couple of days away. This trip I flew JAL. Good flight and service. I shed a few happy tears as we landed, bit silly but Tokyo is one of my happy places. Very quick through immigration and customs, around half an hour, which was a pleasant experience for a change. Bought my ticket for the Airport Limousine Bus which got me to the Mitsui Garden Ginza Premier hotel and then a short walk to where I am staying. Nice weather with a temperature of 32C when we landed. This trip I am staying right in the heart of Ginza. A small hotel, Sotetsu Fresa Inn, two blocks back from the main street but still close to Shimbashi station. In fact I dare say it may be a shorter walk than from Shiodome. The room is small by western standards but for one person it is adequate and very comfortable. After checking in it was time for a walk and dinner. 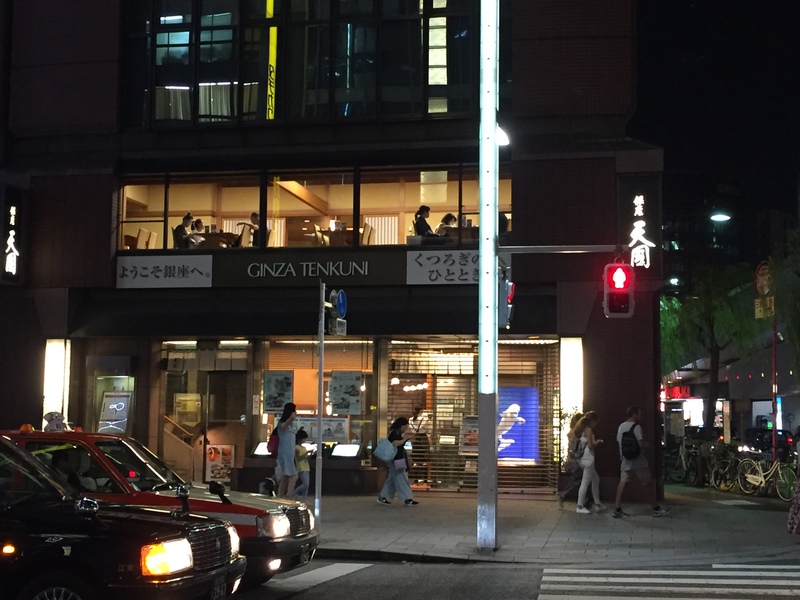 I felt like tempura so headed to a regular restaurant I go to, Ginza Tenkuni. Only a 5 minute walk from the hotel so very handy. Perusing the menu I decided on a tempura don set. 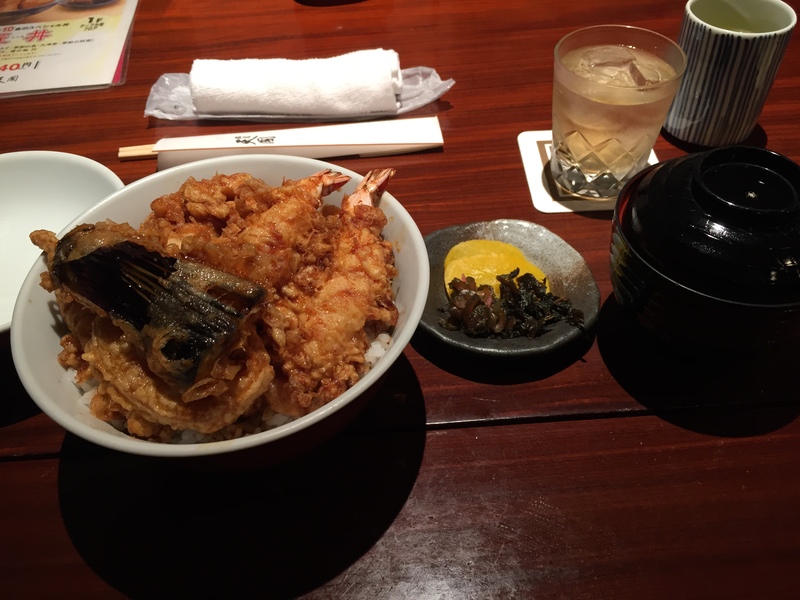 2 tempura ebi(prawns), tempura whiting, tempura renkon(lotus root), tempura nasu(eggplant) and kakiage(small pieces of squid cooked in tempura batter) served on rice with sauce then poured over. 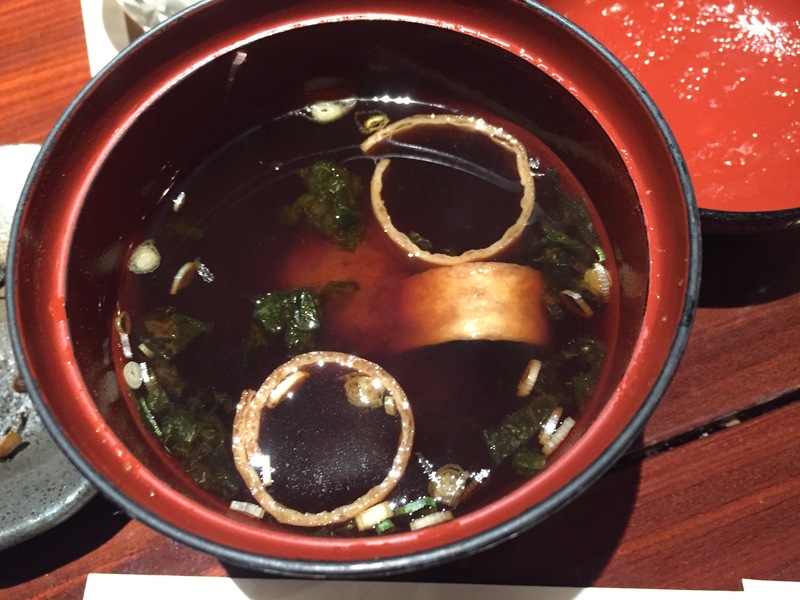 This was accompanied by miso soup and pickles. A cup of hot green tea was also bought out. I ordered a glass of plum sake/umueshu on the rocks. This one wasn’t too sweet and was quite refreshing. After my delicious dinner, I took a walk around some regular spots in Ginza checking prices at the bottle shops, deciding what to get to take home. Quite surprised to see one of my favourite Japanese Whiskey’s not available at all. No Yamazaki anywhere! And the Hibiki limited to 1 per person. A glass of Chassagne Montrachet at Ginza Felice, then back to the air conditioned comfort of my room. Tomorrow I am contemplating Meiji Jingu and Yaskuni Jinja or a trip out to Omiya. Will decide over breakfast.